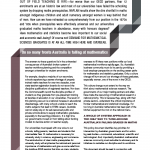 This summary is of Year 12 mathematics students enrolled through the secondary boards of studies in the states (NSW, QLD, SA and TAS, VIC and WA) and in the territories (ACT and NT) together with Australian International Baccalaureate (IBO) students. In National Curriculum parlance, “Advanced mathematics” is Level D and “Intermediate mathematics” is Level C.
Note that an Intermediate mathematics STUDENT is one who is enrolled in a mathematics Level C subject but is NOT enrolled in a Level D subject. In 2016 the total Level C mathematics ENROLMENT exceeded 61,000. Most Australian Level D mathematics students also enrol in a Level C mathematics subject. Although the 2016 Intermediate (Level C) NUMBER is higher than in any of the previous nine years, the Intermediate student participation rate has fallen from 21.2% in 2007 to 19.4% in 2016, as the Year 12 population grew by about 14% during the ten-year period. See the graph above: only 28.9% of the Year 12 population undertook mathematics at least to Level C in 2016, compared with 31.4% in 2007. The girls’ Level D participation rate of 7.0% in 2016 is up from 6.9% in 2015, while the boys’ rate of 12.1% in 2016 is down from 12.6% in 2015. The 2016 boys’ Advanced/Level D participation rate is the lowest during the period 1995-2016. 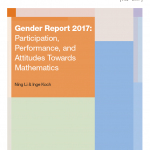 Both the girls’ and boys’ Level C participation rates are up slightly: the girls’ rate of 18.3% in 2016 versus 18.0% in 2015; the boys’ rate of 20.6% in 2016 versus 20.5% in 2015, for an overall Level C participation rate of 19.4% for 2016. We estimate that in 2016, between 53% and 55% of Year 12 students took an Elementary mathematics subject but DID NOT TAKE an Intermediate mathematics subject NOR an Advanced one. We do not have access to all of the detailed data required to determine this percentage exactly. Many students take both a Level B subject and a Level C subject, and many take both a Level A subject and a Level B subject etc. We only have crude estimates of the “overlaps”. In previous reports, we have used the label “Elementary” for Year 12 mathematics subjects which are neither Advanced nor Intermediate. Such subjects generally contain no calculus. The labels “Level B” and “Level A” will be applied in future reports. With the advent of the National Curriculum, new Level A mathematics subjects are being introduced. At this stage, we are unwilling restrospectively to deem all Elementary subjects from past years as Level B or Level A. (Many of these subjects have been discontinued.) In future reports there will be scope for presenting Level B and Level A enrolment data in time-series form.